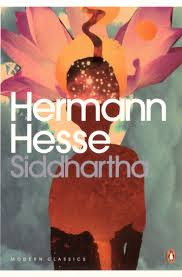 "Hermann Hesse represents in the legend of Siddhartha a man, who frees himself from family and social conventions, but also rejects any dogma and finds its own way. This leads away from his scholarly father through a long time of searching and getting lost and ends up in nature - at a river as the symbol of permanence and change. The book is a plea against slavery and adaptation. Siddhartha was really impressive for me and gave me a lot of stuff to think about. I would recommend it to anybody who is interested in the sipiritual topic of self discovery." "This book is a thoroughly enjoyable read. With over a thousand pages some may be quite skeptical to start with but I managed to read it in three days, just to give you an idea of its quality. It is about a journalist who decides to investigate his life-long friend's murder case because he believes him when he says he's innocent. He ends up caught in the whirlpool of the Somerset murder case. The story follows three or four intertwined smaller stories that seem to have no connection but end up with complete relevance to each other with so many twists."